When we are on the go, cleansing wipes are extremely convenient. You just swipe the wipes across your skin, be done with the first step of your cleansing routine and then, move on to toner and so on. However, we often (And very conveniently.) forget about exfoliating our skin. Yet, this is a step that is so crucial; not clearing dead skin cells means that our pores have a higher tendency of being blocked. Our other products will have a tougher time trying to penetrate into our skin! And this is the point is when Nivea's latest darling, the Pure Effect 3-in-1 Daily Deep Cleansing Exfoliating Wipes, jump in! 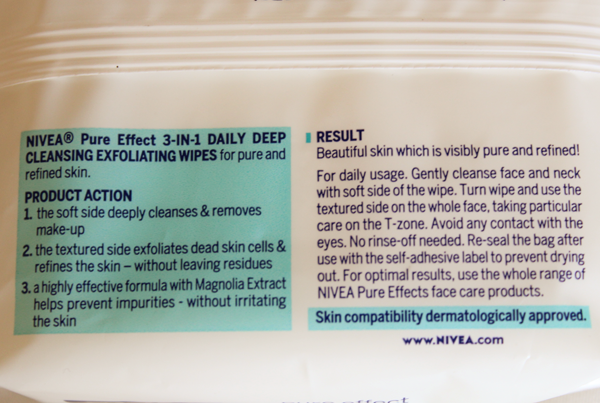 NIVEA Pure Effect 3-in-1 Daily Deep Cleansing Exfoliating Wipes cleanse and exfoliate but that's not all! It removes your makeup as well… That's 3 skincare steps in just 1 step! Each piece comes with 2 different surfaces; a smooth one and another that's dotted with raised bumps. The smooth side acts as a makeup remover and a cleanser. With just a few swipes, it removes makeup and impurities. On the flip side, the raised bumps are actually micro exfoliation particles. These will remove dead cells from the skin's outer layer. Together, these 2 sides ensure that our skin is left smooth and immaculately clean! The key ingredient in the wipes is Magnolia Extract, derived from the core of the Magnolia Bark. The extract has been a Chinese medicinal secret for entries because of its anti-bacterial and anti-inflammatory properties. Magnolol and Honokiol make up the extract and studies have shown that high concentration of the 2 eradicates the bacteria that cause breakouts effectively. I usually remove my makeup the minute I get back and I have been using the wipes to do so. As instructed, I use the smooth side to get rid of my makeup and to cleanse. A single piece removes my light tinted moisturizer pretty easily. But when I have too much going on my face (B.B. cream, a thicker foundation, blusher, highlighter and the works. ), I find that I need at least 2 pieces. After that, I use the flip side to exfoliate my skin. The raised bumps look big and rough but as long as you are gentle when wiping it across your skin, they are actually pretty alright. My skin is left feeling softer and smoother. 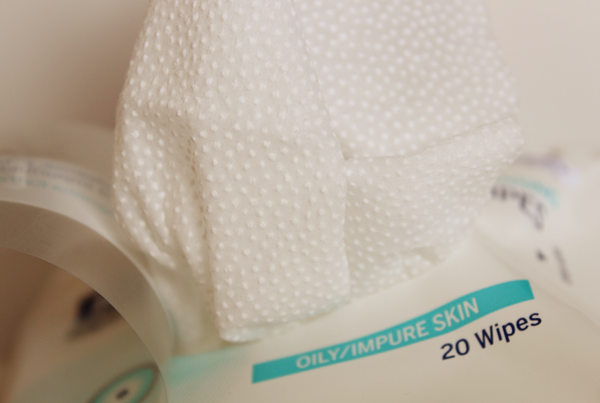 One thing that I really like about the wipes is that it doesn't leave my sensitive skin feeling dry or tight. And though I do think it's a bit of a waste when I use heavier face makeup, the wipes are really very convenient. I have false eyelash extensions on now so I have separate wipes for my eye makeup. However, I do think the Nivea wipes will take a little longer to remove heavy eye makeup and are maybe a little too weak for Japanese mascaras. 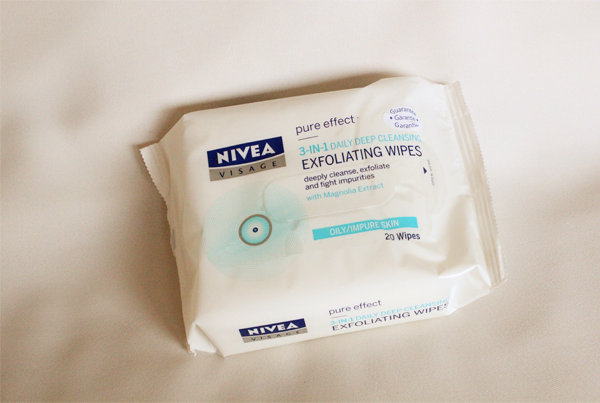 NIVEA Pure Effect 3-in-1 Daily Deep Cleansing Wipes are truly convenient and perfect for travel and for the busy ladies with light makeup on. They are can be found in all personal care stores and supermarkets at $9.90 for $20. Thanks for the review , it looks nice! 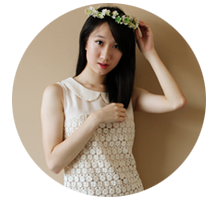 Would you like to follow each other on Bloglovin and GFC? If you like my blog, please follow me and let me know so I can follow back quickly! Hi I love your blog and aaaall the reviews you did!